As seen, stylish and good quality. 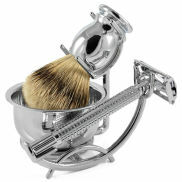 Very stylish and quality shaving set, bought for a friend's birthday. Really impressed with service overall.